With 15 offices strategically located offices in the U.S and many other parts of the world, Winston and Strawn is an international law concern that is known for superior legal solutions. The exceptional geographic reach of the firm’s resources allows it to handle every type of business-related legal issue in the best possible manner. It has a highly proficient team of over 1,000 attorneys that are in the right position to guide enterprises of all types and sizes with their profound legal know-how and extensive experience. Winston and Strawn LLP understands that clients what nothing less than the best and this is what it offers them. The firm strives to give the level of involvement clients expect from it and looks into every case personally so that people and organizations can achieve their objectives just as they desire. Teamwork is an important concern at this office. This is why it makes sure that the attorneys as well as the other staff members work in close coordination and create synergies that help it deliver unparalleled legal solutions. The use of technology by Winston and Strawn also enables it to provide efficient and effective legal advice and counsel. The profound history of Winston and Strawn makes it one of the most trusted law offices in the U.S. For over 150 years it has been benefiting clients with advice that enables them achieve their goals. This extensive experience is backed by profound knowledge and commitment to teamwork which allows it to stand out among other law firms. Diversity is a core value of this law firm; lawyers and support staff from diverse backgrounds enriches this office and places it in an ideal place to serve all. Winston and Strawn also deserves appreciation for its pro bono efforts. The firm has the honor of being one the first large law firms in the U.S to adopt a written pro bono policy and become a signatory to the Pro Bono Institute Law Firm Pro Bono Challenge. Q:Where are the offices of Winston and Strawn located? A:The firm, Winston and Strawn has 15 offices located around the world with almost a 1,000 attorneys providing services in a number of areas of law. The firm has eight locations within the United States in New York, Newark, Charlotte, Chicago, Houston, Los Angeles, San Francisco and Washington D.C. The international locations for the firm include Shanghai, Paris, Moscow, London, Geneva, Hong Kong and Beijing. Q:What industries does the Winston Strawn law firm specifically provide services to? A:As the attorneys at Winston Strawn law firm provide legal services in a number of areas of law, it is difficult to pin point specific industries the firm caters to. Since its establishment, the firm has provided legal assistance to a number of industries. Some of the industries worth mentioning are automotive & transportation, financial services & banking, health care, pharmaceuticals and telecommunications. Q:What sort of clients do Winston and Strawn LLP have? A:The Winston and Strawn LLP provide services to a number of clients ranging from multinational corporations to new startups. Some of the most notable clients of the firm include Abbot Laboratories, American Airlines, Dell Inc, Hyundai Motor Company, Verizon Communications, McDonald's Corporation, Wells Fargo & Company and the Boeing Company. The firm also provides legal services to technology companies such as Motorola and LG electronics. Q:Do lawyers at the Winston and Strawn law firm assist with pro bono services? A:The Winston and Strawn law firm has an extensive pro bono program that aims to help clients with limited means. More than half of the lawyers at the Winston and Strawn law firm provide pro bono services and spend in access of 35 hours every year on pro bono cases. The lawyers at the firm specifically provide services in First Amendment/Freedom of Speech cases, contested guardianship, landlord/tenant cases, political asylum, death penalty cases and general public assistance. The firm generally caters to nonprofit organizations and individual clients.  Q:What services does the Winston law office provide in the area of Intellectual Property? A:The Winston law office covers the area of intellectual property extensively. The firm provides litigating services in US, UK, international courts, administrative tribunals and arbitral bodies. The Winston law firm provides strategic counseling, risk assessment, portfolio management, applications for trademarks, copyrights and patents services. The firm also has experience in product development deals, consulting contracts, advertising, marketing and promotions. There are more than 200 lawyers who specialize in Intellectual Property related law services within the firm. Q:Can a Winston lawyer help me with patent litigation? A:Winston lawyers provide comprehensive legal services in patent litigation. The firm provides services to clients dealing with a number of latest technologies. These technologies generally range from computer software to electronics and medical devices. Within a four year span, the firm has dealt with more than 200 patent cases and the Corporate Counsel's Patent Litigation Survey has ranked the firm as the busiest in this area of law.